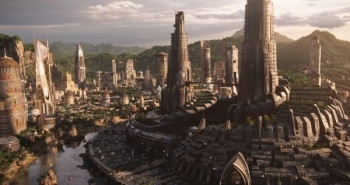 The soaring architectural sets featured in the blockbuster Black Panther were inspired in large part by the sensuous designs of Zaha Hadid, according to the film’s production designer Hannah Beachler. 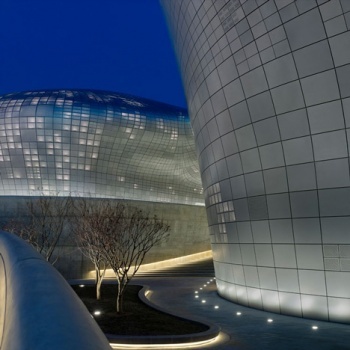 While researching for the film, Beachler visited buildings by the late Iraqi-British architect, including the DDP Building in Seoul (shown below), completed in 2013, and the Wangjing SOHO in Beijing, completed in 2015. 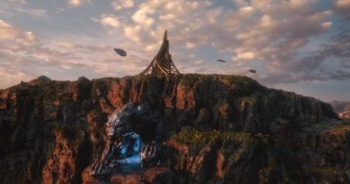 The fictional world of Wakanda, where the movie is set, was further inspired by Afrofuturism, a cultural movement that combines African and African-American culture with technology and science fiction elements. Exterior scenes for the movie were shot in Uganda, South Africa, Zambia and South Korea. Combining Hadid-style curves with southern African architectural references created fluid and curved structures, writ in earth tones and natural materials in Wakanda’s Golden City capital. Would Dame Hadid approve? Previous Previous post: Hundreds register to run in Lebanese Interior Ministry race!